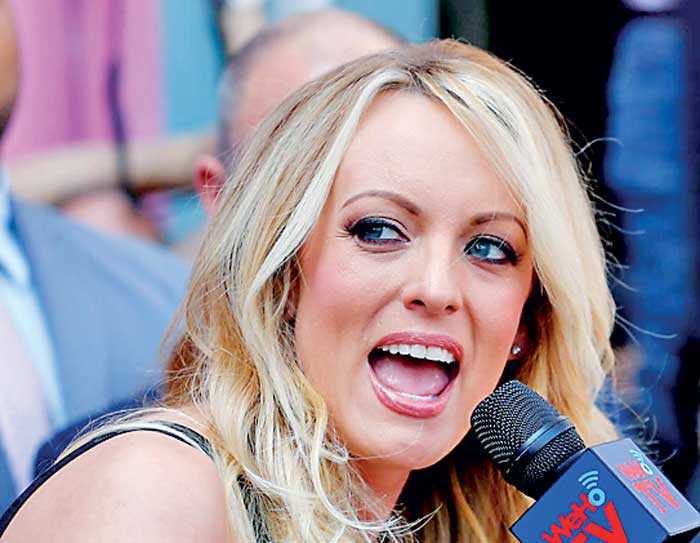 NEW YORK (Reuters): Lawyers for US President Donald Trump have asked a federal judge to dismiss a defamation lawsuit by adult film actress Stormy Daniels, calling it an attempt to suppress the president’s free speech. Daniels’ lawsuit, filed on 30 April, centres on her account of being accosted by a man in a Las Vegas parking lot soon after she had agreed in May 2011 to talk about her alleged encounter with Trump to In Touch magazine. On 17 April, Avenatti released a composite sketch purporting to depict the man. They also said that Daniels had not been harmed, and had instead “capitalised” on the dispute with a nationwide tour of strip clubs “for which she admittedly is being paid at least four times her normal appearance fee”.